The perfect brush for Mary Kay® Mineral Cheek Color, Mineral Bronzing Powder or Mineral Highlighting Powder. Designed specifically for the precise, even application of cheek color to achieve a natural-looking finish. Fits into all Mary Kay® compacts. 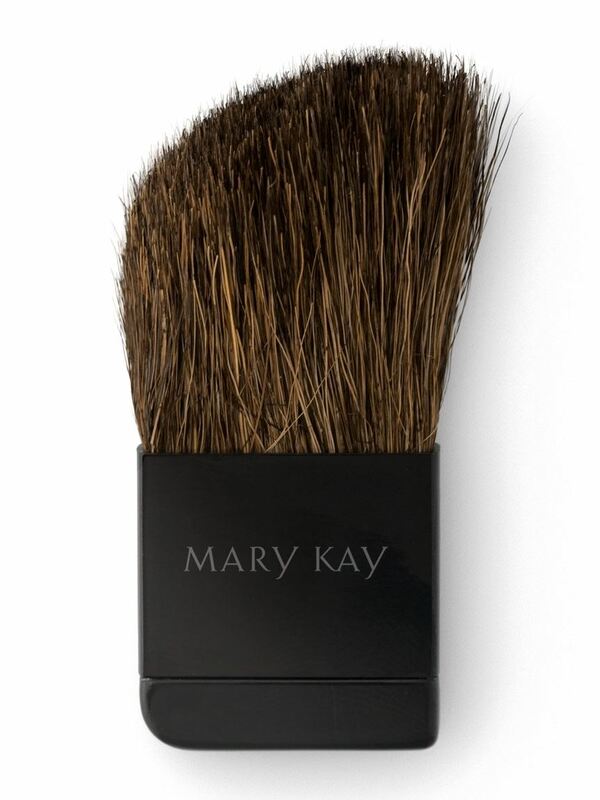 Made from top-of-the-line natural bristles, the Mary Kay® Compact Cheek Brush is designed to pick up and evenly apply cheek color to your face. The angle of the hair is designed to complement and fit perfectly in a woman's hand as well as in the Mary Kay® Compact Mini, Compact and Compact Pro®. Uncompromised quality and performance means the Mary Kay® Compact Cheek Brush is designed to last with natural bristles that are softer and more porous, so they hold onto the powder to optimize application.